Lens is weather sealed and.. upcoming GH3 body will be also sealed. With that price and say if panasonic decides to offer this as a kit lens with the GH3, then I am seeing something in the range of $1999 to $2199 with the GH3. When is this lens suppose to go on sale? This looks like a good glass. I'll buy that the second it hits the shelves! Of course. They tested it on GF1 as I understand. Wow, finally it's coming. Looks like an awesome piece of glass - makes me extra curious a out GH3 too. After lugging around these massive 24-70 FF zooms, this is like a dream come true - especially for my arthritic right hand. This is going to be one hell of a lens. 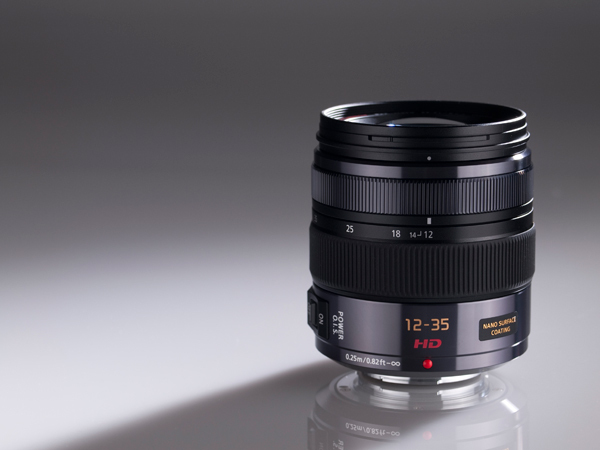 I bet MicroFour Thirds will really launch now with the GH3 coming up, D5 in stores and this lens and the 35-100 coming up. Tech is getting smaller and I like that. Up to my armpits in m4/3's so what's one more lens.... ,!! Quite impressive optical performance! This will surely make up for a relatively slow lens. Considering what Olympus want for their 12mm, Panasonic will sell a lot of these! Good thing to remember is that you must compare prime and zoom T stops, not F stops. So, prime is not only faster in F stops, but usually transmission is better. @Vitaliy_Kiselev that is very much true. I was thinking about the Olympus 12mm as a perceived "sharp" / neutral lens when compared to the slr magic and how this new zoom pretty much stomps all over them in terms of resolution @ 12mm (it performs very well troughout the range). Also if comparing it to the wider 7-14mm, (although you cannot go as wide) it certainly performs better @ 12-14mm. It becomes a much more interesting candidate for certain kinds of jobs apart from the obvious portability benefits. In this light the price does not seem that steep at all, but perhaps the focal length range could have been 10mm-30mm instead? Comparing it to a FF lens is kind of moot as that is outside the existing m43 market. Maybe you think they should compete on the same terms but IMO they are two different kinds of tools. Although the Panny f2.8 is slightly slower than the OLY f2 zoom, it goes wider and compares favourably in terms of resolution and especially so in terms of portability.. not to mention price. Just wondering how come the edge MTF at 12mm goes to 50 all the way from f/2.8 to f/8. Also, the central MTF at 35mm maintains 70 up to f/5.6. Normally they should fluctuate or have some tendency to increase or decrease. Something wrong? It is also true that those are 2 different markets, but m4/3 is considered as consumer format and I'm just surprised that a consumer product is priced in the "PRO" range and customers are still happy about the price. It's like when you'd buy a Toyota in price of BMW and still be quite happy about the price :) Just my 2 cents..
@Alfi666 , well maybe they will release a GH3 Pro version :-) AF101 is considered a pro and have MFT ... ?! I expected non-extending at zoom and made of light metal barrel at that price. 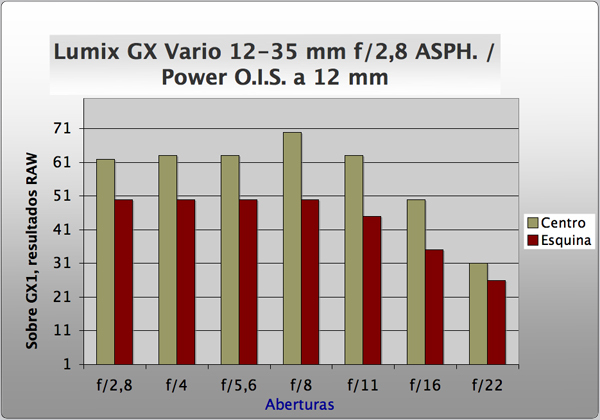 @feha: You are right, AF101 is considered as PRO, but let's be realistic again... the sensor is the downside of that camera. I'm not saying that this is a bad lens at all... I was just expecting price about 600-700Eur... at this price point, I don't find myself investing in m4/3 glass, but I understand that for some it might be worth the price. I don't see many overpriced lenses really. @Alfi666, well I'd agree if the Toyota was specced as a BMW.. or Toyota.. But the fact is this is a weather sealed lens that seems to perform suberbly well, including OIS, substantially smaller than a full frame system (which is one of the reasons why M43 is so attractive).. There is no BMW with the specs like this Toyota. Maybe this lens won't appeal to the casual m43 user, but it is certainly bang on for photography enthusiasts and videographers in particular. "Less DOF control" than full frame as dpreview states, equalling it to f5.6, is just another way to think of smaller frame = less = worse etc.. Sure, you cannot do as shallow DOF with m43, but you don't have to stop down as much to have the whole frame (or close to the whole frame), tack sharp, in focus either - meaning it's easier to control low light conditions at reasonable iso. If Panasonic could make a proper 1.4 converter like this http://www.canon.co.uk/for_home/product_finder/cameras/ef_lenses/extenders/extender_ef_14x_ii/index.aspx then we would have a whole range of options from the new x series too, ie constant f4's 30-90 and 90-250 with OIS. I have big doubts that this 1.4x converter works good with anything except few long lenses, mostly primes.